Council Directive 73/23/EEC of 19 February 1973 on the harmonisation of the laws of Member States relating to electrical equipment designed for use within certain voltage limits (3) has been substantially amended (4). In the interests of clarity and rationality the said Directive should be codified. The provisions in force in the Member States designed to ensure safety in the use of electrical equipment used within certain voltage limits may differ, thus impeding trade. In certain Member States in respect of certain electrical equipment, the safety legislation takes the form of preventive and repressive measures by means of binding provisions. In other Member States in order to achieve the same objective, the safety legislation provides for reference to technical standards laid down by Standards Bodies. Such a system offers the advantage of rapid adjustment to technical progress without neglecting safety requirements. Certain Member States carry out administrative operations to approve standards. Such approval neither affects the technical content of the standards in any way nor limits their conditions of use. Such approval cannot therefore alter the effects, from a Community point of view, of harmonised and published standards. Within the Community, the free movement of electrical equipment should follow when this equipment complies with certain safety requirements recognised in all Member States. Without prejudice to any other form of proof, the proof of compliance with these requirements may be established by reference to harmonised standards which incorporate these conditions. These harmonised standards should be established by common agreement by bodies to be notified by each Member State to the other Member States and to the Commission and should be publicised as widely as possible. Such harmonisation should, for the purposes of trade, eliminate the inconveniences resulting from differences between national standards. Without prejudice to any other form of proof, the compliance of electrical equipment with the harmonised standards may be presumed from the affixing or issue of marks or certificates by the competent organisations or, in the absence thereof, from a manufacturer's declaration of compliance. In order to facilitate the removal of barriers to trade, the Member States should recognise such marks or certificates or such declaration as elements of proof. With this end in view, the said marks or certificates should be publicised in particular by their publication in the Official Journal of the European Union. As a transitional measure, the free movement of electrical equipment for which harmonised standards do not yet exist may be achieved by applying the safety provisions or standards already laid down by other international bodies or by one of the bodies which establish harmonised standards. It is possible that electrical equipment may be placed in free circulation even though it does not comply with the safety requirements, and it is therefore desirable to lay down suitable provisions to minimise this danger. Council Decision 93/465/EEC (5) establishes the modules for the various phases of the conformity assessment procedures which are intended to be used in the technical harmonisation Directives. The choice of procedures should not lead to a lowering of safety standards of electrical equipment, which have already been established throughout the Community. For the purposes of this Directive, ‘electrical equipment’ means any equipment designed for use with a voltage rating of between 50 and 1 000 V for alternating current and between 75 and 1 500 V for direct current, other than the equipment and phenomena listed in Annex II. 1. The Member States shall take all appropriate measures to ensure that electrical equipment may be placed on the market only if, having been constructed in accordance with good engineering practice in safety matters in force in the Community, it does not endanger the safety of persons, domestic animals or property when properly installed and maintained and used in applications for which it was made. 2. The principal elements of the safety objectives referred to in paragraph 1 are listed in Annex I. The Member States shall take all appropriate measures to ensure that if electrical equipment is of such a nature as to comply with the provisions of Article 2, subject to the conditions laid down in Articles 5, 6, 7 or 8, the free movement thereof within the Community shall not be impeded for reasons of safety. In relation to electrical equipment, the Member States shall ensure that stricter safety requirements than those laid down in Article 2 are not imposed by electricity supply bodies for connection to the grid, or for the supply of electricity to users of electrical equipment. The Member States shall take all appropriate measures to ensure that, in particular, electrical equipment which complies with the safety provisions of harmonised standards shall be regarded by their competent administrative authorities as complying with the provisions of Article 2, for the purposes of placing on the market and free movement as referred to in Articles 2 and 3 respectively. Standards shall be regarded as harmonised once they are drawn up by common agreement between the bodies notified by the Member States in accordance with Article 11, first paragraph, point (a), and published under national procedures. The standards shall be kept up to date in the light of technological progress and the developments in good engineering practice in safety matters. For purposes of information the list of harmonised standards and their references shall be published in the Official Journal of the European Union. 1. Where harmonised standards as defined in Article 5 have not yet been drawn up and published, the Member States shall take all appropriate measures to ensure that, for the purposes of placing on the market or free movement as referred to in Articles 2 and 3 respectively, their competent administrative authorities shall also regard as complying with the provisions of Article 2 electrical equipment which complies with the safety provisions of the International Commission on the Rules for the Approval of Electrical Equipment (CEE) or of the International Electrotechnical Commission (IEC) in respect of which the publication procedure laid down in paragraphs 2 and 3 has been applied. 2. The safety provisions referred to in paragraph 1 shall be notified to the Member States by the Commission as from the entry into force of this Directive, and thereafter as and when they are published. The Commission, after consulting the Member States, shall state the provisions and in particular the variants which it recommends to be published. 3. The Member States shall inform the Commission within a period of three months of such objections as they may have to the provisions thus notified, stating the safety grounds on account of which the provisions should not be recognised. For purposes of information those safety provisions against which no objection has been raised shall be published in the Official Journal of the European Union. Where harmonised standards within the meaning of Article 5 or safety provisions published in accordance with Article 6 are not yet in existence, the Member States shall take all appropriate measures to ensure that, for the purpose of placing on the market or free movement as referred to in Articles 2 and 3 respectively, their competent administrative authorities shall also regard as complying with the provisions of Article 2 electrical equipment manufactured in accordance with the safety provisions of the standards in force in the Member State of manufacture, if it ensures a safety level equivalent to that required in their own territory. 1. Before being placed on the market, the electrical equipment must have affixed to it the CE marking provided for in Article 10 attesting to its conformity to the provisions of this Directive, including the conformity assessment procedure described in Annex IV. 2. In the event of a challenge, the manufacturer or importer may submit a report, drawn up by a body, which is notified in accordance with Article 11, first paragraph, point (b), on the conformity of the electrical equipment with the provisions of Article 2. 3. Where electrical equipment is subject to other Directives concerning other aspects which also provide for the affixing of the CE marking, the latter shall indicate that the equipment in question is also presumed to conform to the provisions of those other Directives. However, where one or more of these Directives allow the manufacturer, during a transitional period, to choose which arrangements to apply, the CE marking shall indicate conformity to the provisions only of those Directives applied by the manufacturer. In this case, particulars of the Directives applied, as published in the Official Journal of the European Union, must be given in the documents, notices or instructions required by the Directives and accompanying the electrical equipment. whether its non-conformity with Article 2 is attributable to faulty application of such standards or publications or to failure to comply with good engineering practice as referred to in that Article. 2. If other Member States raise objections to the decision referred to in paragraph 1, the Commission shall immediately consult the Member States concerned. 3. If an agreement has not been reached within three months from the date of communication of the information as laid down in paragraph 1, the Commission shall obtain the opinion of one of the bodies notified in accordance with Article 11, first paragraph, point (b), having its registered office outside the territory of the Member States concerned and which has not been involved in the procedure provided for in Article 8. The opinion shall state the extent to which the provisions of Article 2 have not been complied with. 4. The Commission shall communicate the opinion of the body referred to in paragraph 3 to all Member States which may, within a period of one month, make their observations known to the Commission. The Commission shall at the same time note any observations by the parties concerned on that opinion. 5. Having taken note of these observations the Commission shall, if necessary, formulate the appropriate recommendations or opinions. 1. 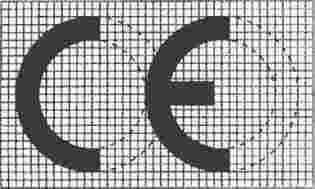 The CE conformity marking referred to in Annex III shall be affixed by the manufacturer or his authorised representative established within the Community to the electrical equipment or, failing that, to the packaging, the introduction sheet or the guarantee certificate so as to be visible, easily legible and indelible. where non-compliance continues, the Member State shall take all appropriate measures to restrict or prohibit the placing on the market of the electrical equipment in question or to ensure that it is withdrawn from the market in accordance with Article 9.
the publication reference referred to in the second paragraph of Article 5. Any amendment to the above shall be notified by each Member State to the other Member States and to the Commission. This Directive shall not apply to electrical equipment intended for export to third countries. The Member States shall communicate to the Commission the texts of the main provisions of national laws which they adopt in the field covered by this Directive. Directive 73/23/EEC is hereby repealed without prejudice to the obligations of the Member States relating to the time-limits for transposition into national law and application of the Directives set out in Annex V, Part B.
References made to the repealed Directive shall be construed as being made to this Directive and should be read in accordance with the correlation table in Annex VI. Done at Strasbourg, 12 December 2006. (1) OJ C 10, 14.1.2004, p. 6. (2) Opinion of the European Parliament of 21 October 2003 (OJ C 82 E, 1.4.2004, p. 68) and Decision of the Council of 14 November 2006. (3) OJ L 77, 26.3.1973, p. 29. Directive as amended by Directive 93/68/EEC (OJ L 220, 30.8.1993, p. 1). (4) See Annex V, Part A. (5) Council Decision 93/465/EEC of 22 July 1993 concerning the modules for the various phases of the conformity assessment procedures and the rules for the affixing and use of the CE conformity marking, which are intended to be used in the technical harmonisation directives (OJ L 220, 30.8.1993, p. 23). The essential characteristics, the recognition and observance of which will ensure that electrical equipment will be used safely and in applications for which it was made, shall be marked on the equipment, or, if this is not possible, on an accompanying notice. The brand name or the trade mark should be clearly printed on the electrical equipment or, where that is not possible, on the packaging. The electrical equipment, together with its component parts, should be made in such a way as to ensure that it can be safely and properly assembled and connected. The electrical equipment should be so designed and manufactured as to ensure that protection against the hazards set out in points 2 and 3 of this Annex is assured, providing that the equipment is used in applications for which it was made and is adequately maintained. that the insulation must be suitable for foreseeable conditions. that the electrical equipment shall not endanger persons, domestic animals and property in foreseeable conditions of overload. Specialised electrical equipment, for use on ships, aircraft or railways, which complies with the safety provisions drawn up by international bodies in which the Member States participate. the last two digits of the year in which the CE marking was affixed. Internal production control is the procedure whereby the manufacturer or his authorised representative established within the Community, who carries out the obligations laid down in point 2, ensures and declares that the electrical equipment satisfies the requirements of this Directive that apply to it. The manufacturer or his authorised representative established within the Community must affix the CE marking to each product and draw up a written declaration of conformity. The manufacturer must establish the technical documentation described in point 3 and he or his authorised representative established within the Community must keep it on Community territory at the disposal of the relevant national authorities for inspection purposes for a period ending at least 10 years after the last product has been manufactured. Where neither the manufacturer nor his authorised representative is established within the Community, this obligation is the responsibility of the person who places the electrical equipment on the Community market. The manufacturer or his authorised representative must keep a copy of the declaration of conformity with the technical documentation. The manufacturer must take all measures necessary in order that the manufacturing process shall ensure compliance of the manufactured products with the technical documentation referred to in point 2 and with the requirements of this Directive that apply to them. (1) In the case of Denmark the time-limit was extended to five years, i.e. 21 February 1978. See Article 13(1) of Directive 73/23/EEC. (2) Until 1 January 1997 Member States had to allow the placing on the market and the bringing into service of products which complied with the marking arrangements in force before 1 January 1995. See Article 14(2) of Directive 93/68/EEC.